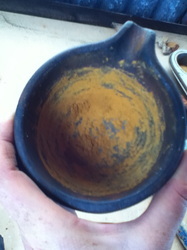 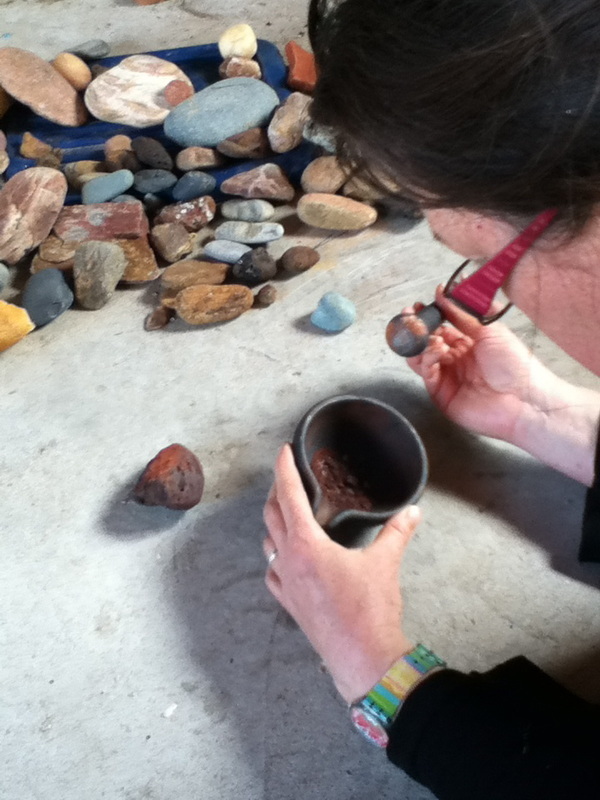 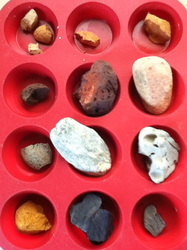 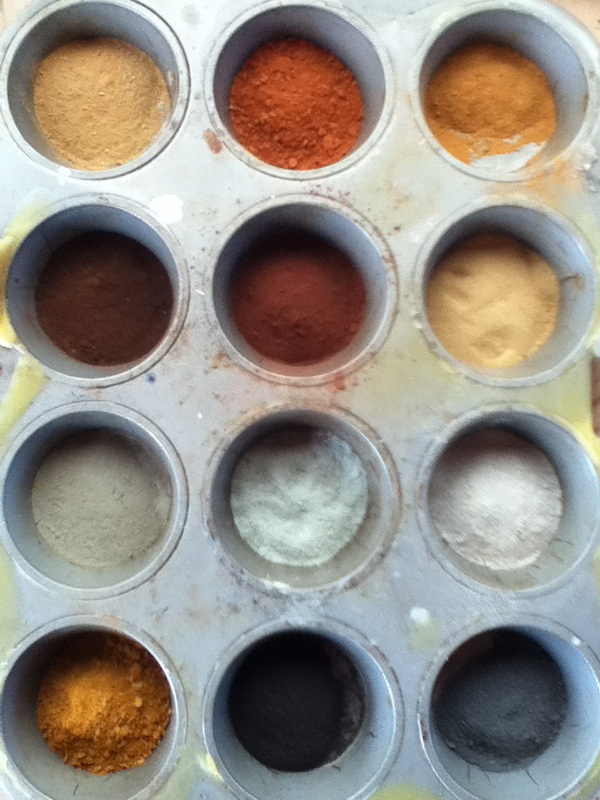 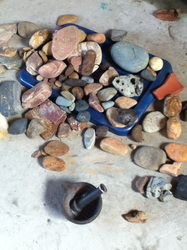 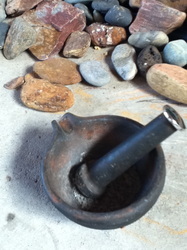 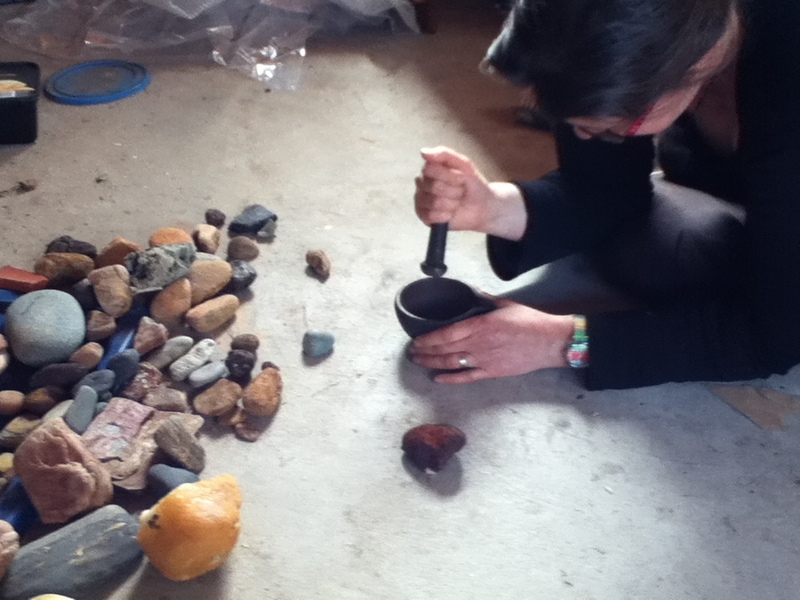 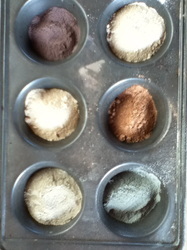 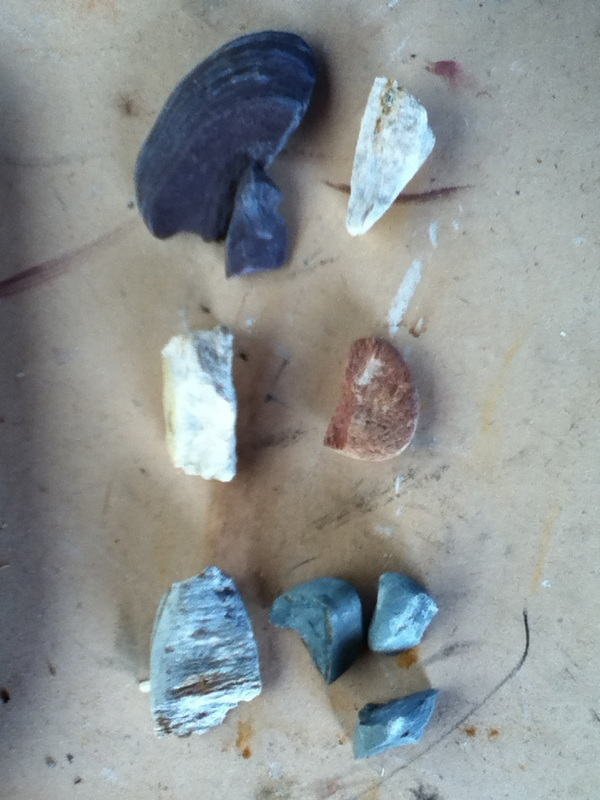 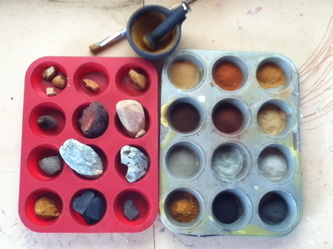 Jo has recently discovered the joy of collecting and making her own pigments from local rocks and clays. 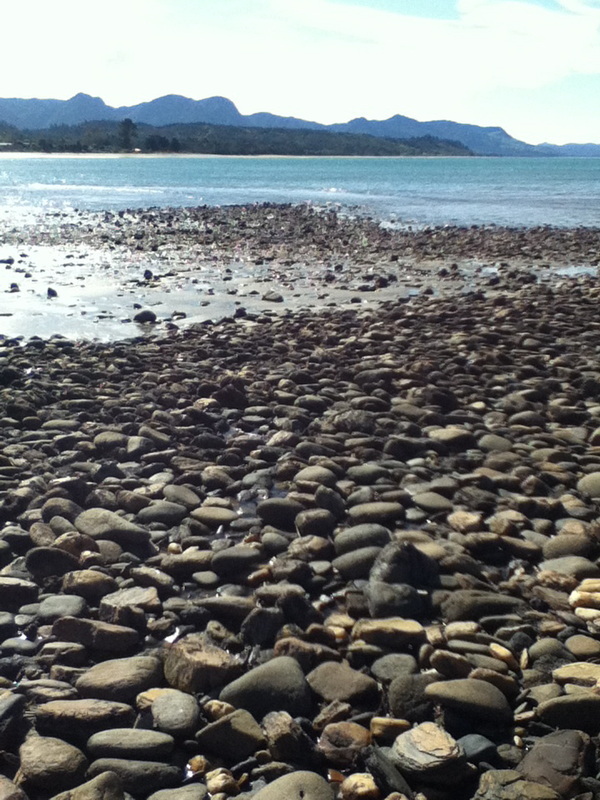 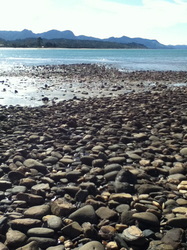 "I am very much a beginner and have greatly appreciated the support and advice of both Celia Wilson and Robin Slow. Here are some (rather poor quality) photos of the process to date. 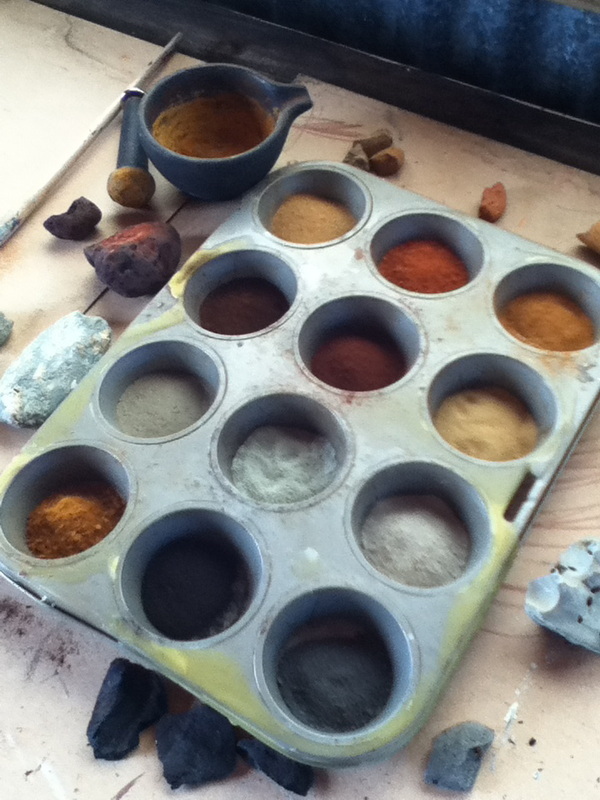 The paintings that I have made from these pigments are a work in progress for the Landlines exhibition (January 2013, Kereru Gallery)."